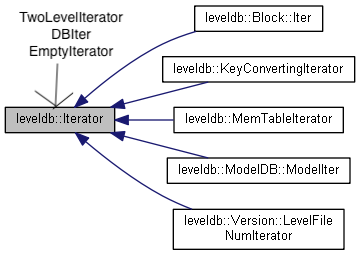 Iterator 的思想在 stl 很常见，通过迭代器，可以实现算法和容器的解耦。当我们实现某个算法时，只需要关注迭代器的常见操作，例如++ --等，而不用关心作用的具体容器是 map 还是 vector. MergingIterator用于文件多路归并，记录每一个 sstable 的 iterator，非常像 stl 里的merge. 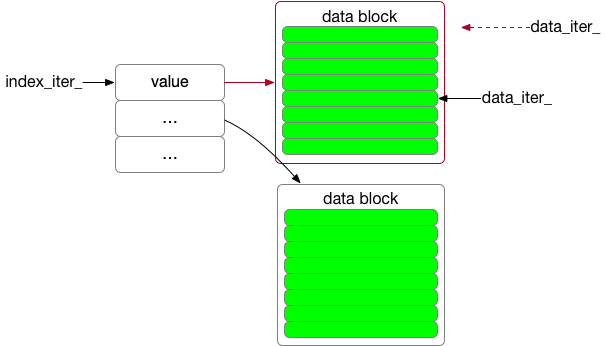 // "index_value" passed to block_function_ to create the data_iter_.